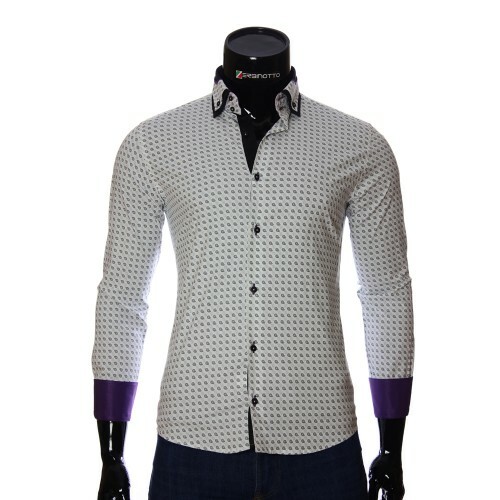 Men's white shirt in a textured pattern with a double collar. 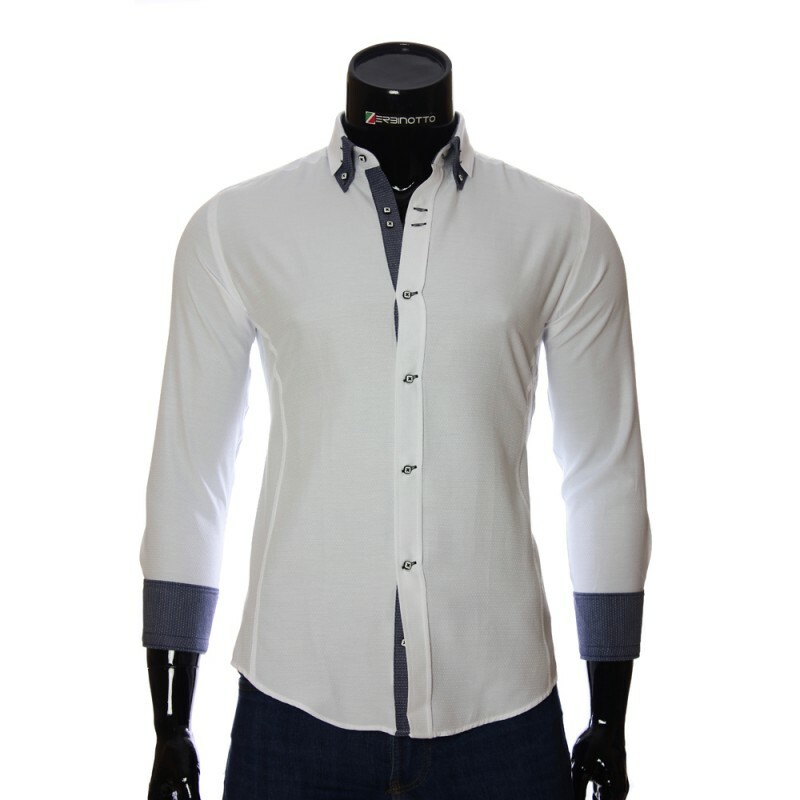 The white slim fit men's shirt of Mario collection from brand Zerbinotto, stylish and at the same time fashionable. Men's shirt in the adjoining slip of the Slim Fit. 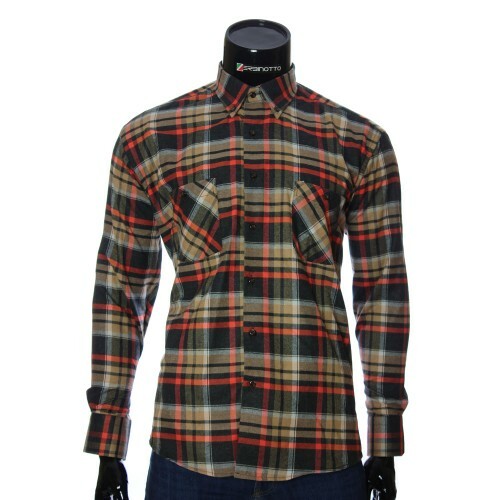 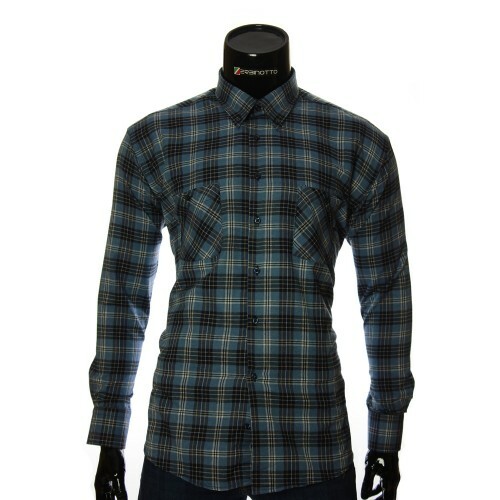 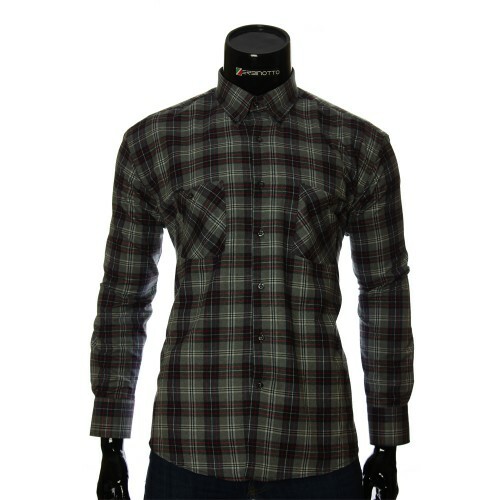 Broadcloth shirt fabric 100% cotton. The tissue provides a dense twist of threads, and the fabric itself does not translate into light. 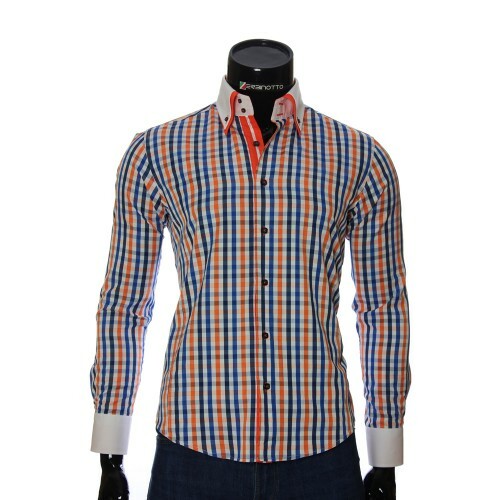 Official cloth for men's shirts. The threads of the intersecting flowers are quite tightly interlaced, giving a characteristic glare. Also, natural cotton is very pleasing to the body and does not cause any discomfort when wearing. Shirt cuffs: Sleeve cuffs shirts are double and two-sided. The first element is made in gray anthracite color in the point of the pattern, and the upper one in the same tone with the shirt sleeve. Both elements are framed with a decorative black stitch. Since the cuffs are also two-sided, it can be worn by wrapping on the wrist or by elbow changing the color of white to anthracite. Button Plate: The button plate is made from the inside of the gray with anthracite color to the point pattern. 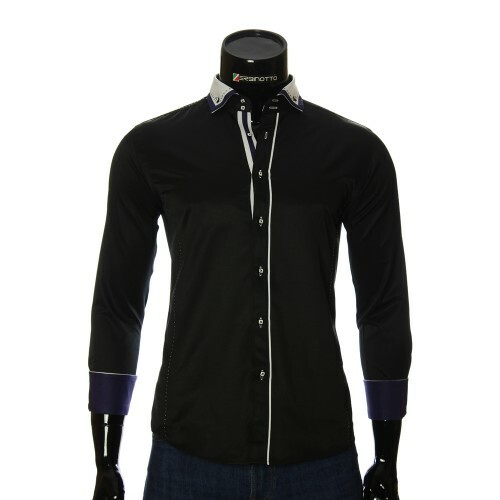 Buttons of a black square shirt with white inserts and sewn with a dark gray thread. Trunk shirt: From the left and right sides, the shirt is stitched with a stitch to emphasize the dressing of the shirt. 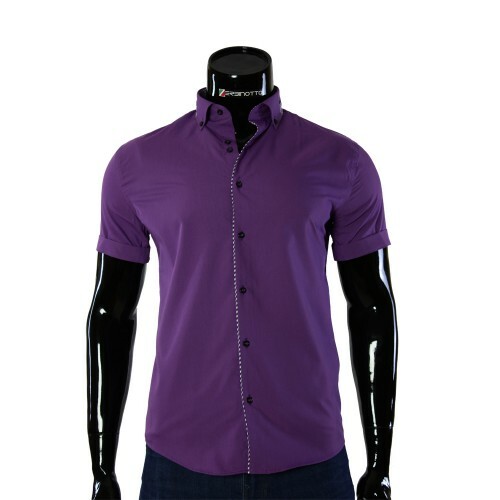 The lower element of the shirt is in a semi-circular shape, which allows it to be worn and tucked up. You can buy a white men's shirt from the Zerbinotto brand of Mario collection on the official zerbinotto.com website or order it at ☎ (096) 77-1-66-88. 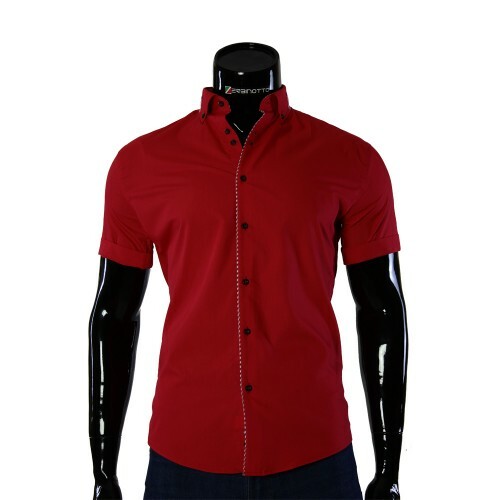 Before ordering, check out the size grid of this collection of shirts, which is below the description of the item, in order to accurately determine your size. Since different collections have different patterns, respectively, and the size grid. We will always find something extravagant for every lovers of shirts! We recommend looking at other models too! 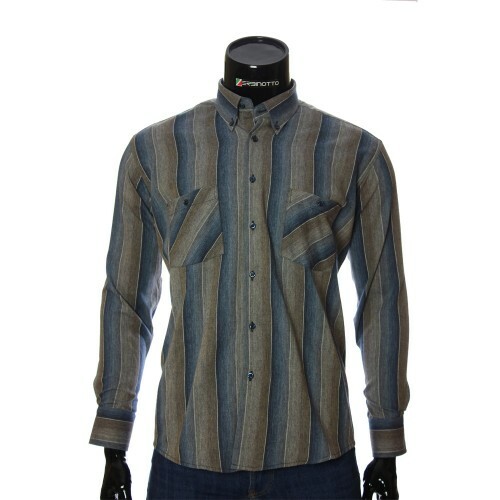 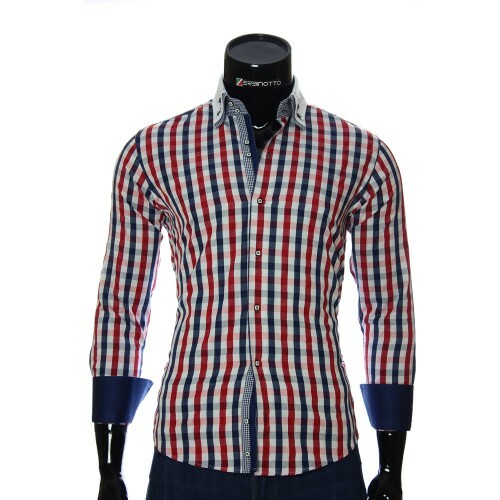 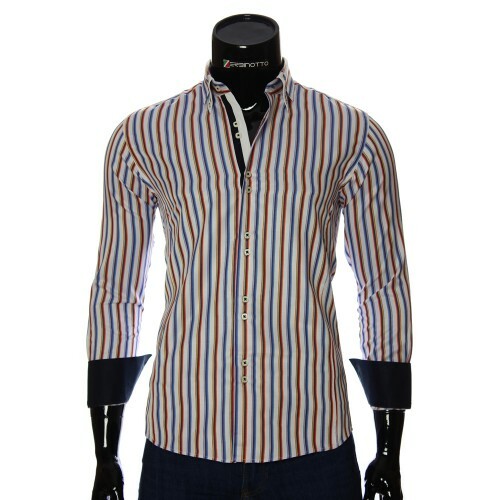 Shop at Zerbinotto® - the top brand in Italian shirts. Професійний підхід, оперативність виконання замовлення, адекватні ціни, загалом залишився задовільним придбаною сорочкою. 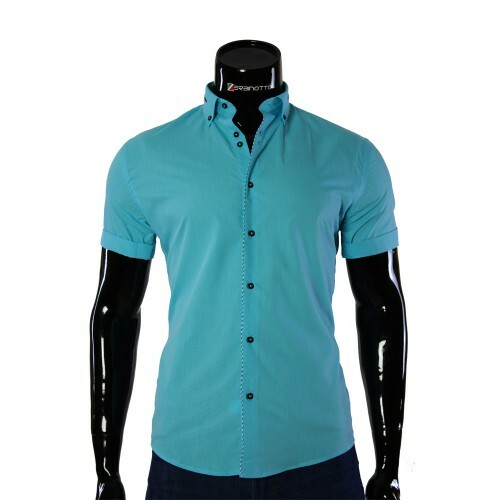 Дякую, успіхів процвітання.